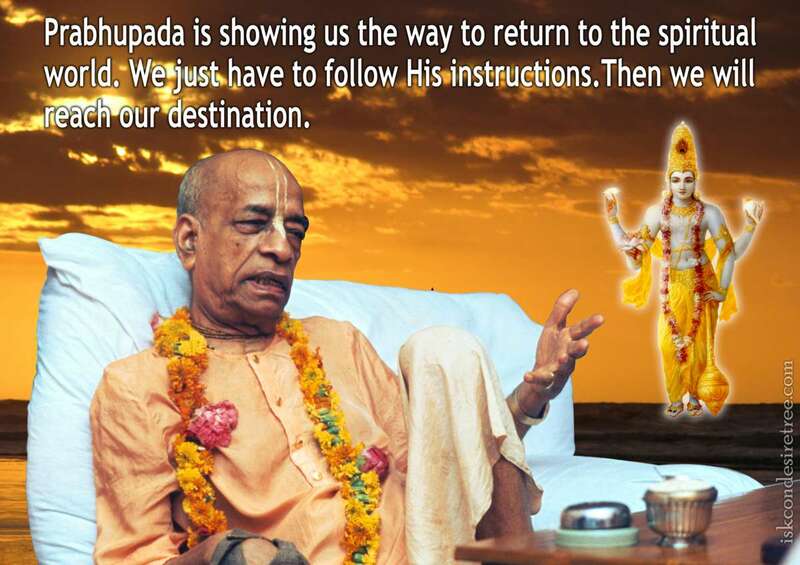 Prabhupada is showing us the way to return to the spiritual world. We just have to follow His instructions. Then we will reach our destination. Pure devotees of Lord are associates of Lord. To associate means to surrender unto them and surrender means to follow their instructions. By following in the footsteps of the great acharyas, one associates with the hamsas or paramahamsas, those who are completely freed from material contamination. 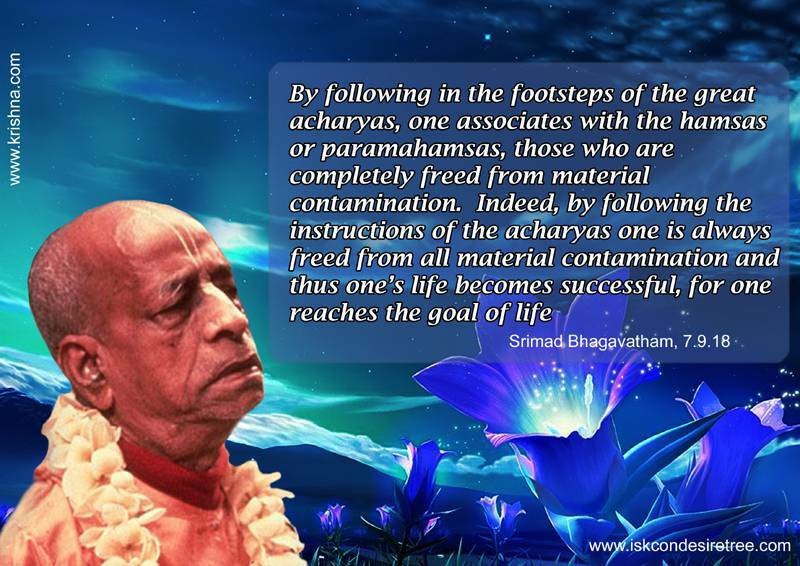 Indeed, by following the instructions of the acharyas one is always freed from all material contamination and thus one's life becomes successful, for one reaches the goal of life. — Srimad Bhagavatam, 07.09.18.